Google just updated their keyword planner tool by adding some features many of us wanted to see long ago. Some of the features added will surely help digital marketeers as it will cut the need for other external software and most of the PPC processes could be done now by using Keyword Planner alone. 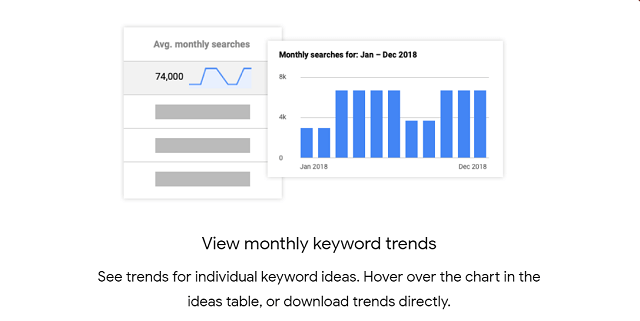 View monthly keyword trends. See trends for individual keyword ideas. Hover over the chart in the ideas table, or download trends directly. Use Grouped Ideas to manage multiple keyword ideas. View keywords by theme or add the set as an ad group in your plan. Save to an existing campaign. Add a keyword idea to a campaign you already created. View a suggested daily budget. 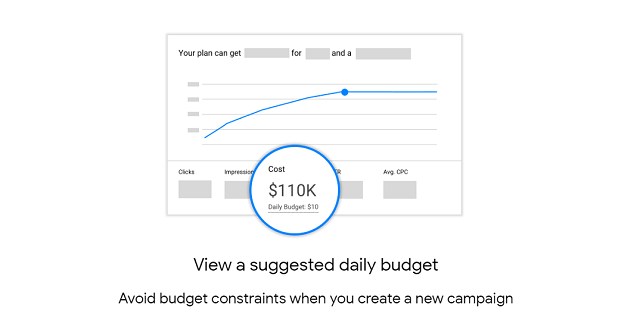 Avoid budget constraints when you create a new campaign. New column option: Competition (indexed value) . Get more granular competition ranking across the keyword ideas.